As you are probably aware, your wedding day will be one of the most important days of your life. But, in order to make this day perfect, you will have to take a few things into consideration. One of these things is hiring the best wedding photographer. If you are looking for wedding photography Toronto options, you will notice that there are dozens of people offering their services. However, not all of them are the same and some photographers Toronto solutions are much better than the others. 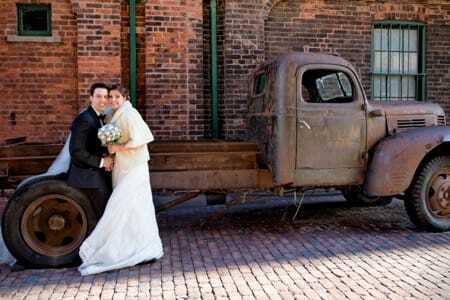 In order to make sure that you have the ultimate photograph Toronto experience, you should learn more about the things that make the best wedding photographers. To start with, you should look for a wedding photographer that is capable of capturing photos in different styles. In case you didn’t know, there are classic, traditional and photojournalistic wedding photos. Obviously, most wedding photographers prefer one of these styles, but they should be able to help you with your photos regardless of your preferences. If you are not sure which style to use, stick to the classic styles because it represents a mixture of both worlds. Next, your wedding photography Toronto experience will be much better if the photographer knows the city well. For instance, many couples want to have photos taken on Cherry Beach. Some other locations include Evergreen Brick Works, Distillery District, High Park, Edwards Gardens Conservatory, University of Toronto, Osgoode Hall, Front Street and few other places. With the right photographer, you should be able to get the most from each location. Furthermore, in case you want to be sure that everything will go well on your wedding day, you should look for a service provider that knows the weather in Toronto. Of course, no one can predict the exact weather on the wedding day, but an experienced and knowledgeable Toronto wedding photographer should be able to prepare for any scenario. The natural light on day weddings or the artificial light on night weddings can significantly affect the final outcome. The same goes for the natural weather elements. A wedding photographer that has vast experience will have an idea what to do regardless of these factors. Of course, just like in the case of hiring any other type of professional, you should analyze their background and previous work. How many weddings Toronto events have they shot? Will they work on something else during that weekend? These are some of the questions that must be answered before making your final decision. Alexandra Jakubowska is providing top-notch wedding photography services in Toronto for more than seven years now. One of the reasons why this wedding photographer is so successful is her passion for photography and her ability to adjust her work to the needs, requirements, and desires of her clients. In addition, Alexandra offers great wedding photography services at a reasonable price. In case you want memorable and professional photography from your wedding in Toronto, you can always count on Alexandra Jakubowska.